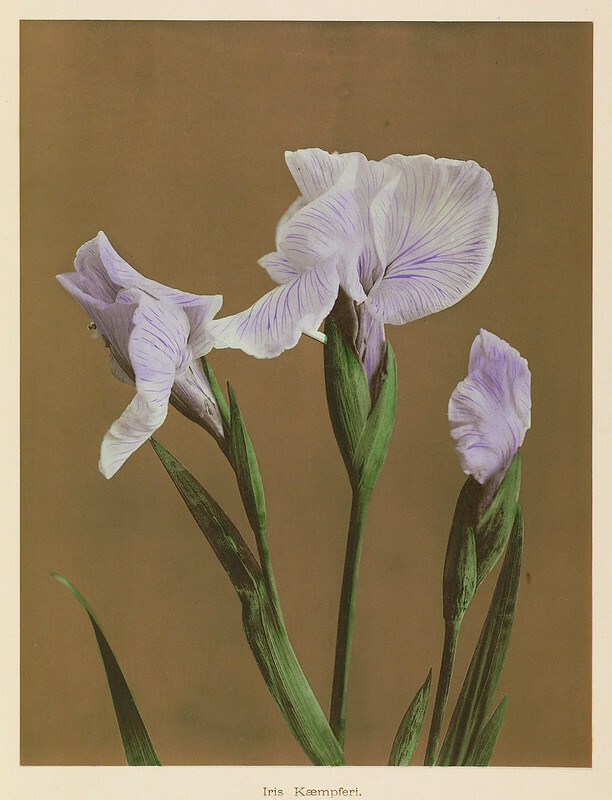 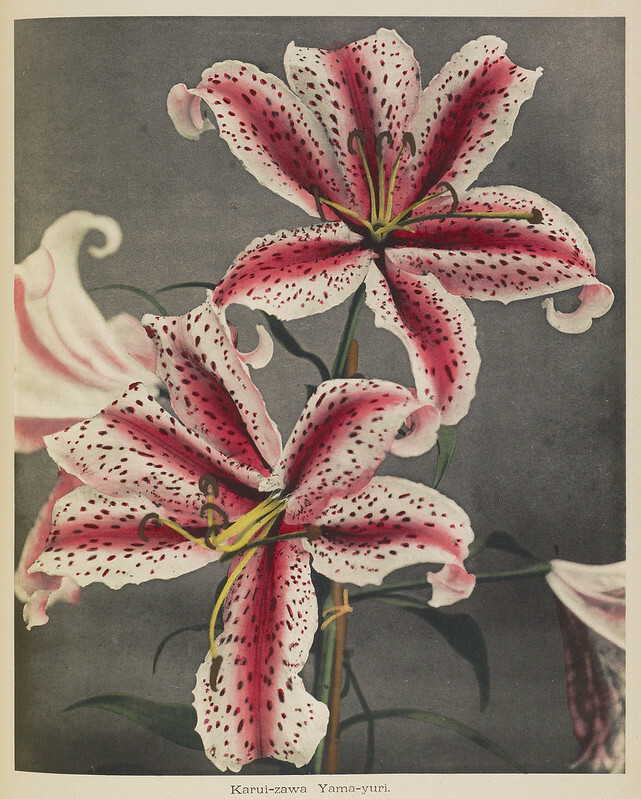 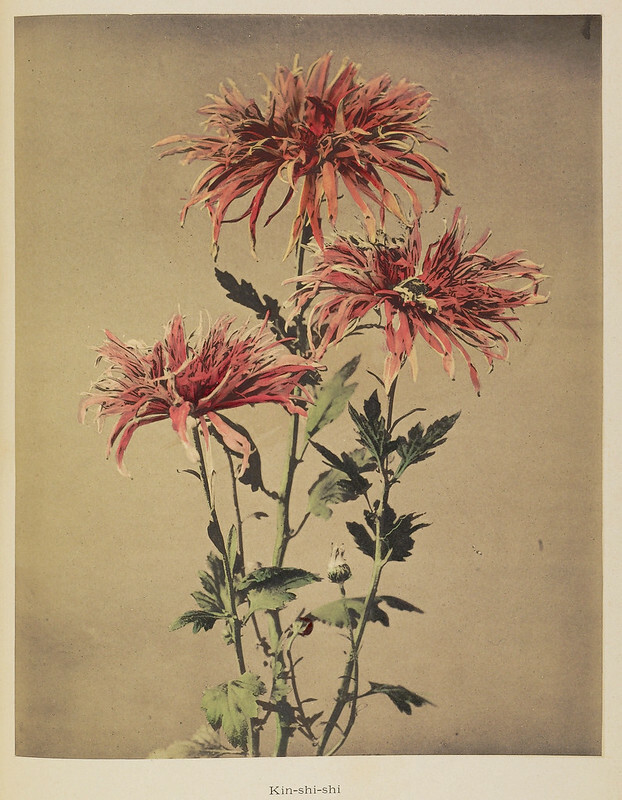 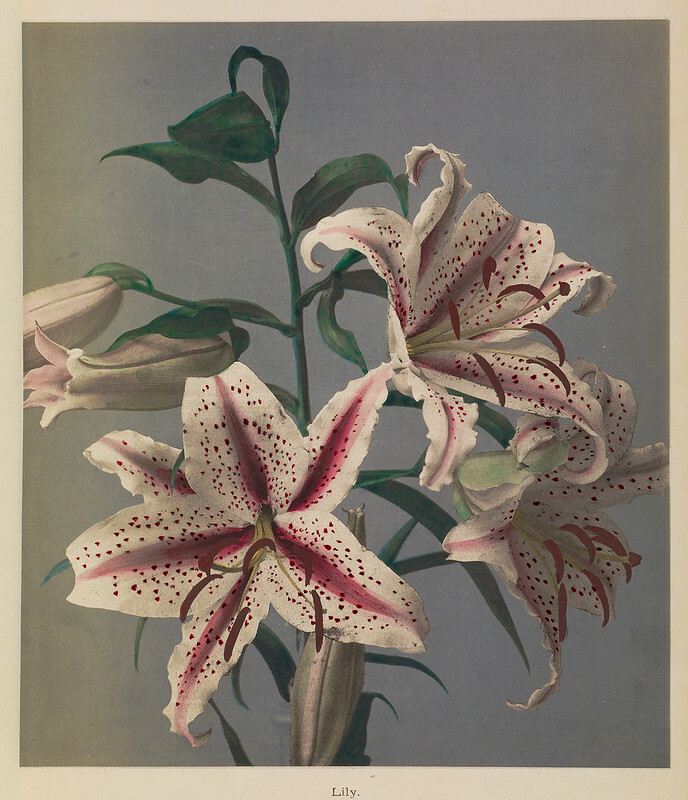 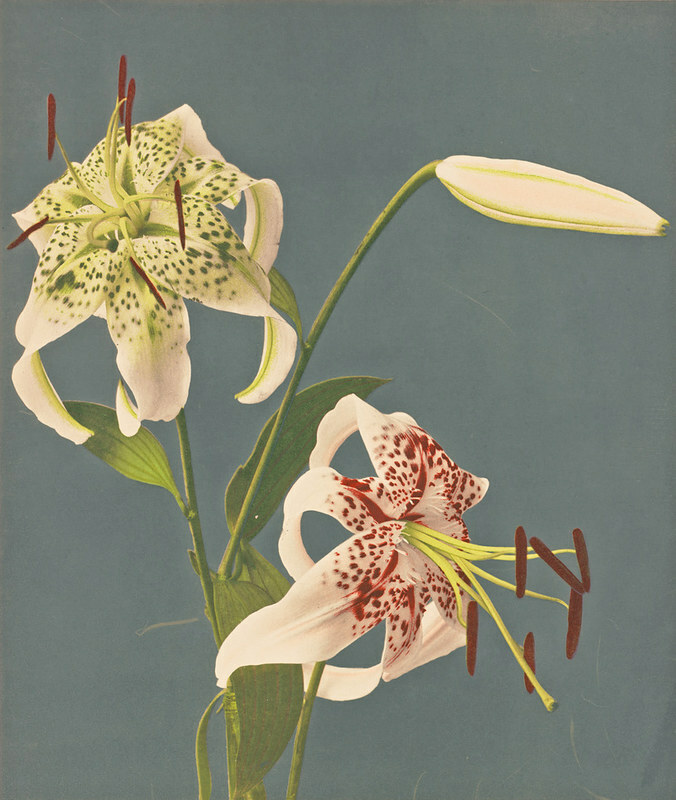 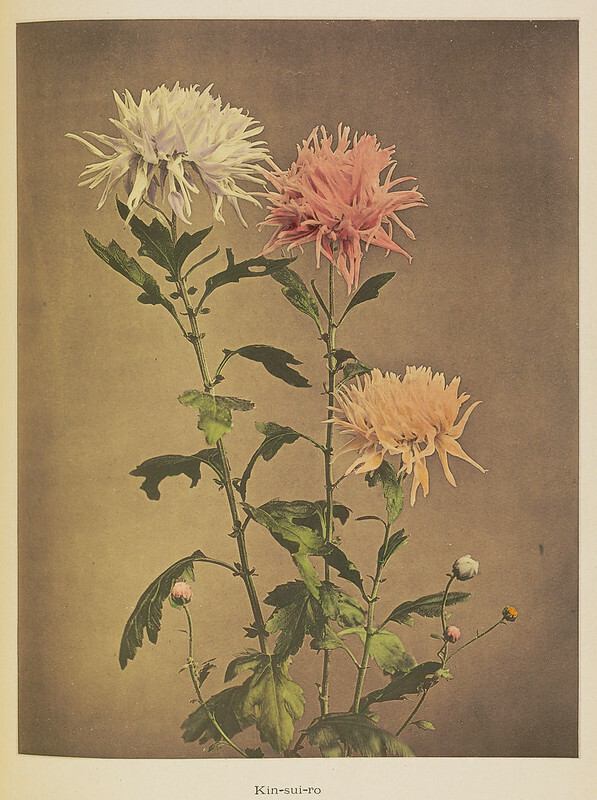 The stunning floral images featured here are the work of Ogawa Kazumasa, a Japanese photographer, printer, and publisher known for his pioneering work in photomechanical printing and photography in the Meiji era. 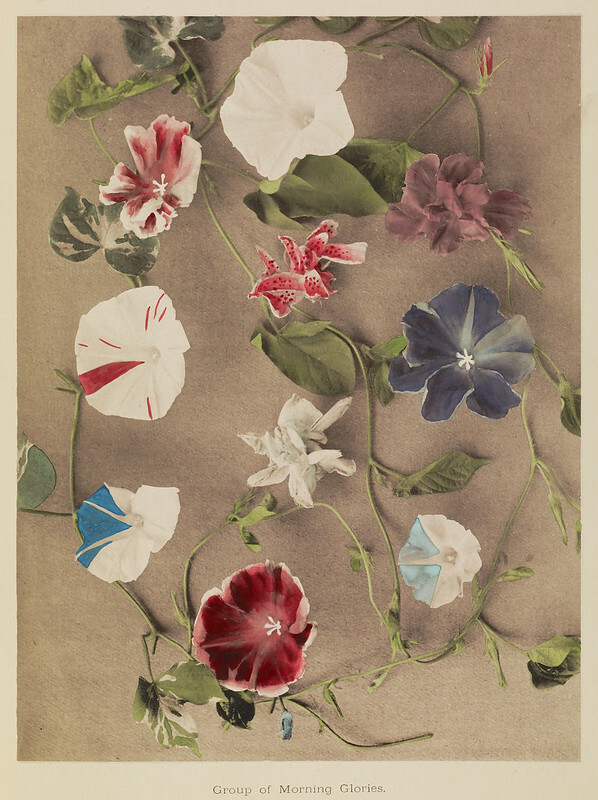 Studying photography from the age of fifteen, Ogawa moved to Tokyo aged twenty to further his study and develop his English skills which he believed necessary to deepen his technical knowledge. 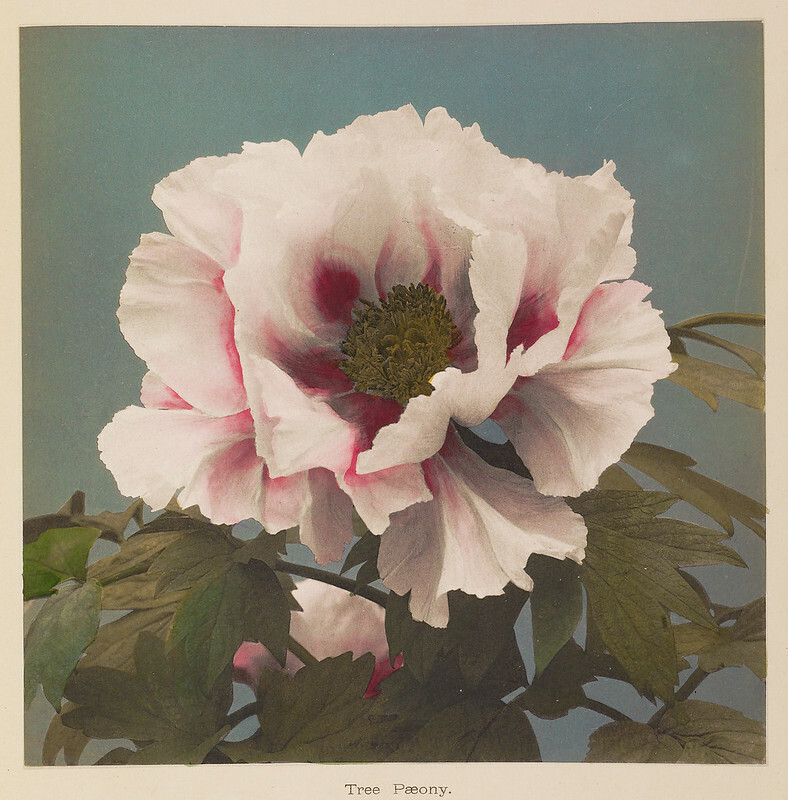 After opening his own photography studio and working as an English interpreter for the Yokohama Police Department, Ogawa decided to travel to the United States to learn first hand the advance photographic techniques of the time. 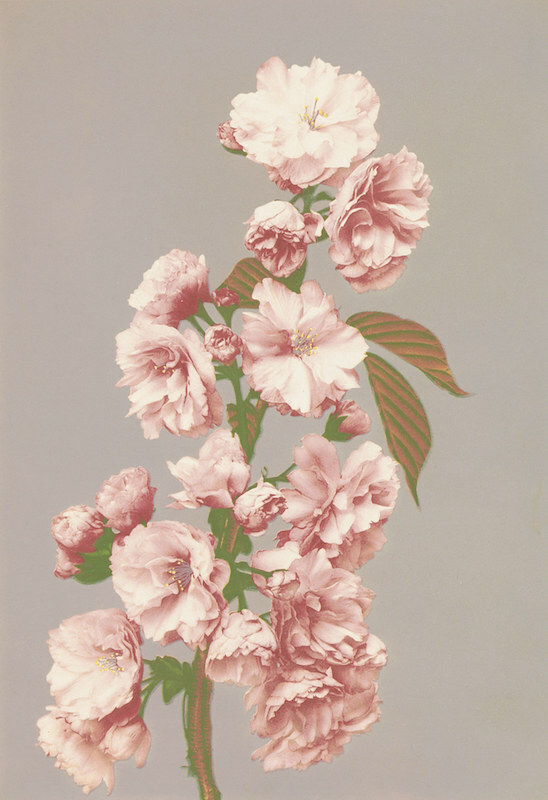 Having little money, Ogawa managed to get hired as a sailor on the USS Swatara and six months later landed in Washington. 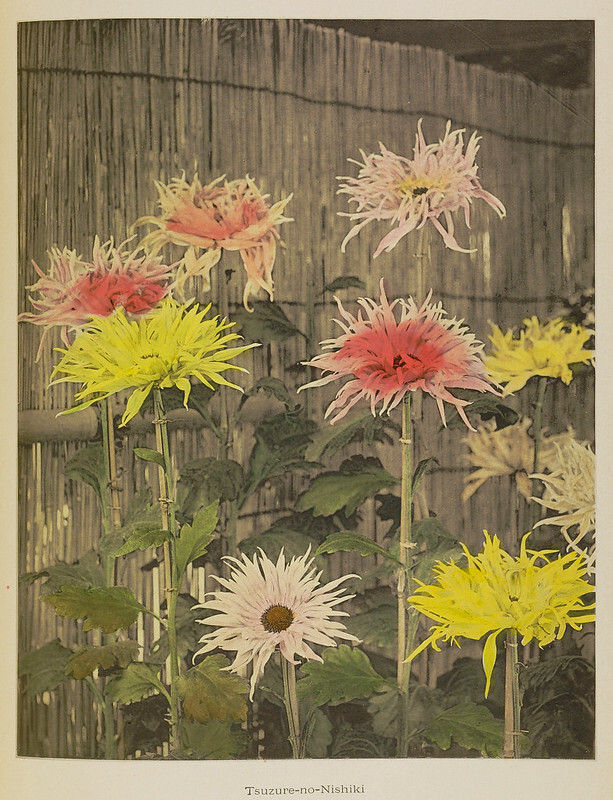 For the next two years, in Boston and Philadelphia, Ogawa studied printing techniques including the complicated collotype process with which he’d make his name on returning to Japan. 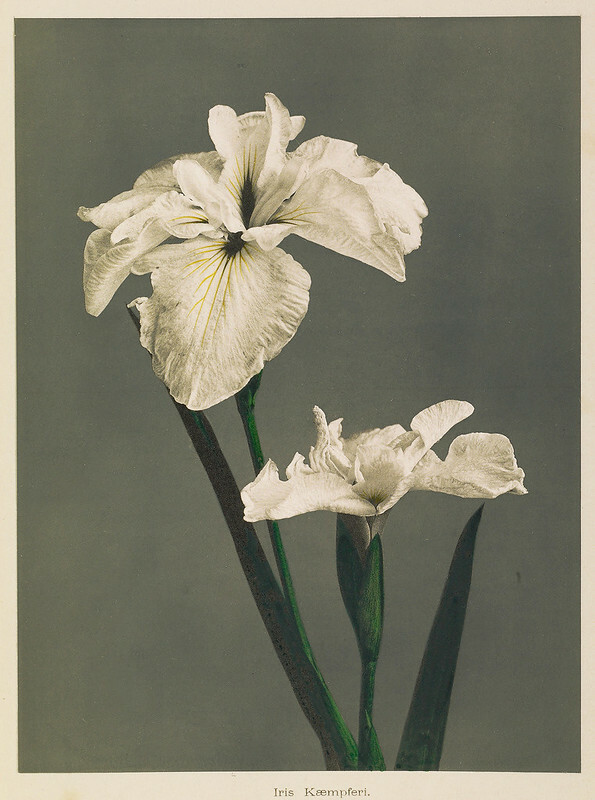 In 1884, Ogawa opened a photographic studio in Tokyo and in 1888 established a dry plate manufacturing company, and the following year, Japan’s first collotype business, the “K. 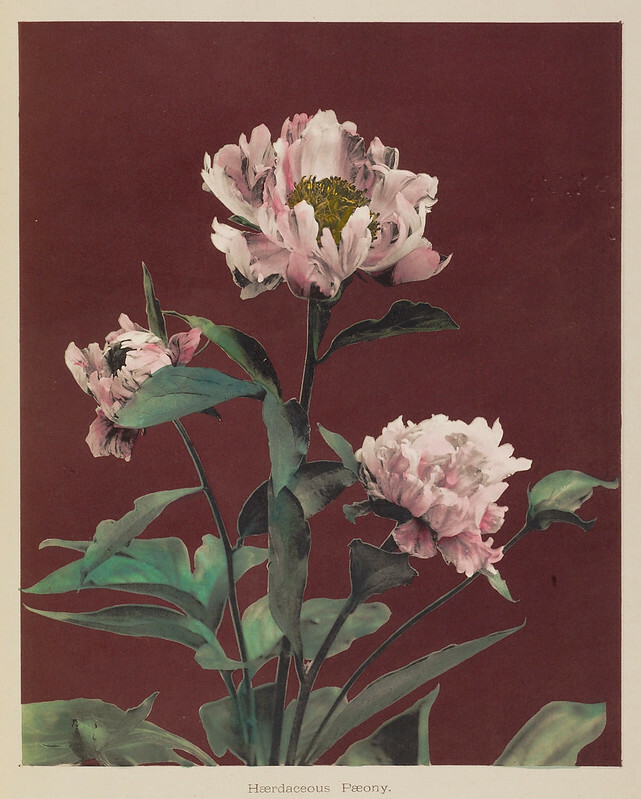 Ogawa printing factory”. 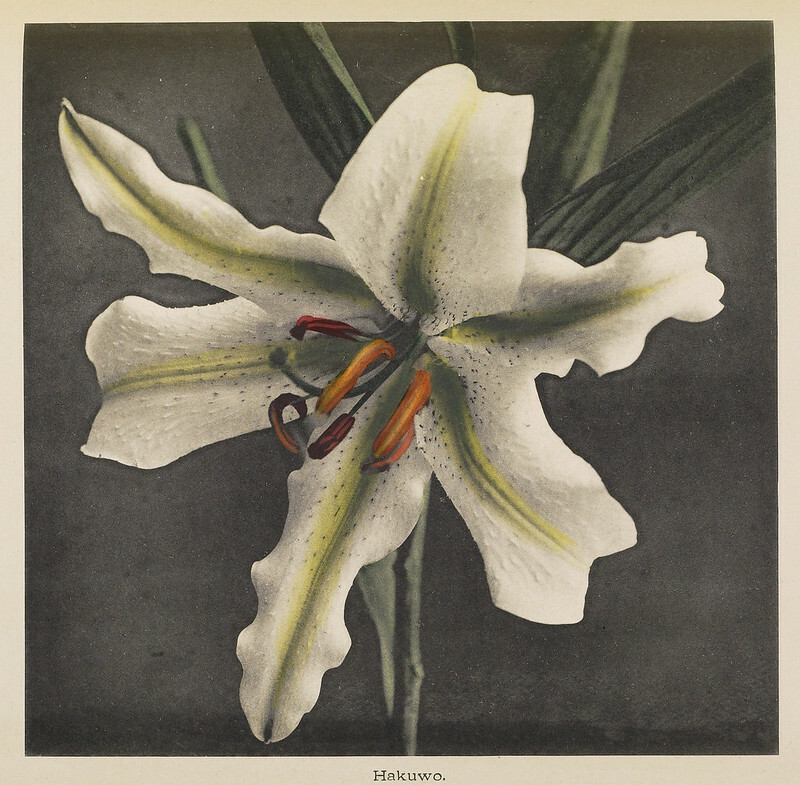 He also worked as an editor for various photography magazines, which he printed using the collotype printing process, and was a founding member of the Japan Photographic Society. 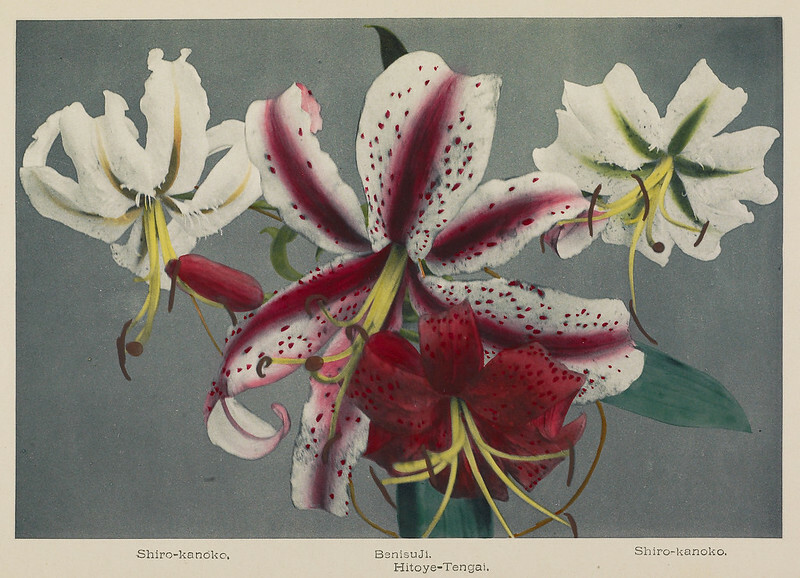 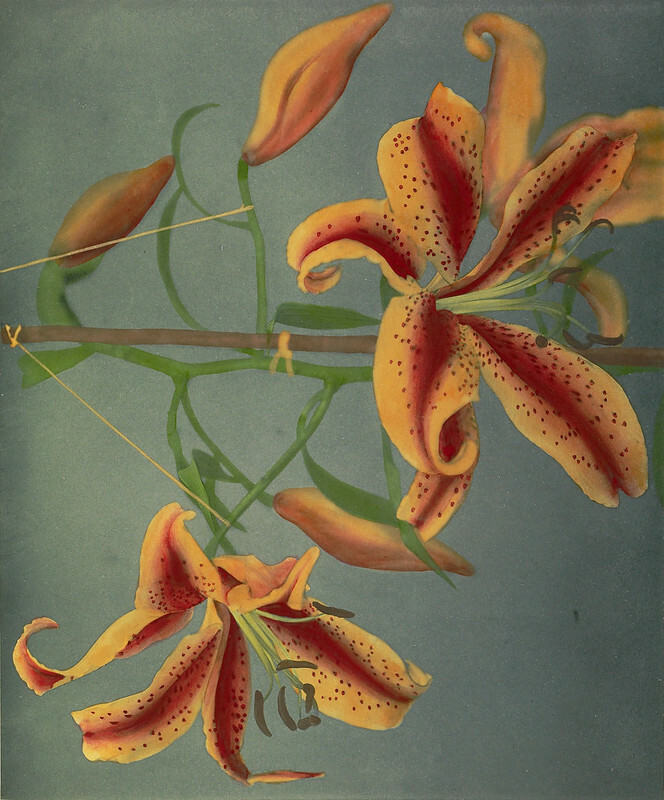 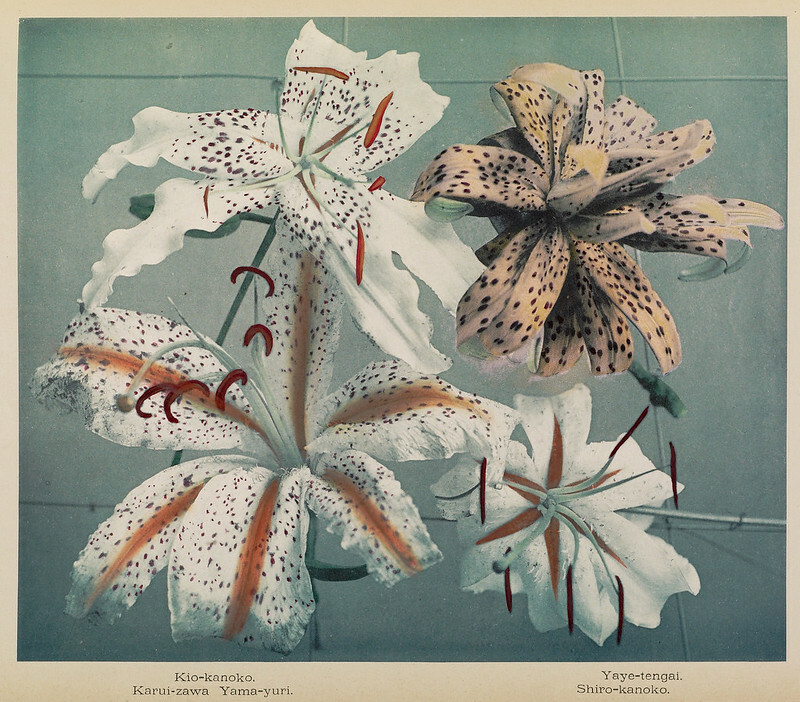 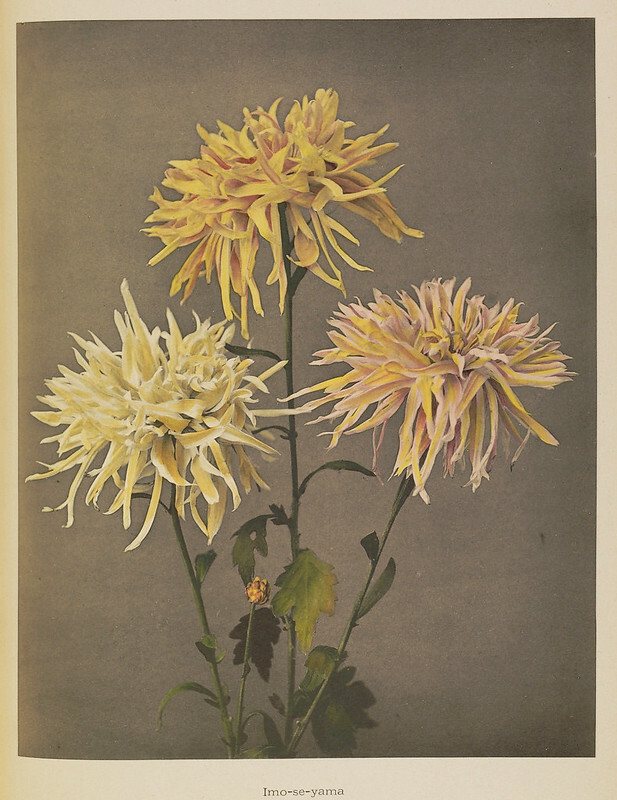 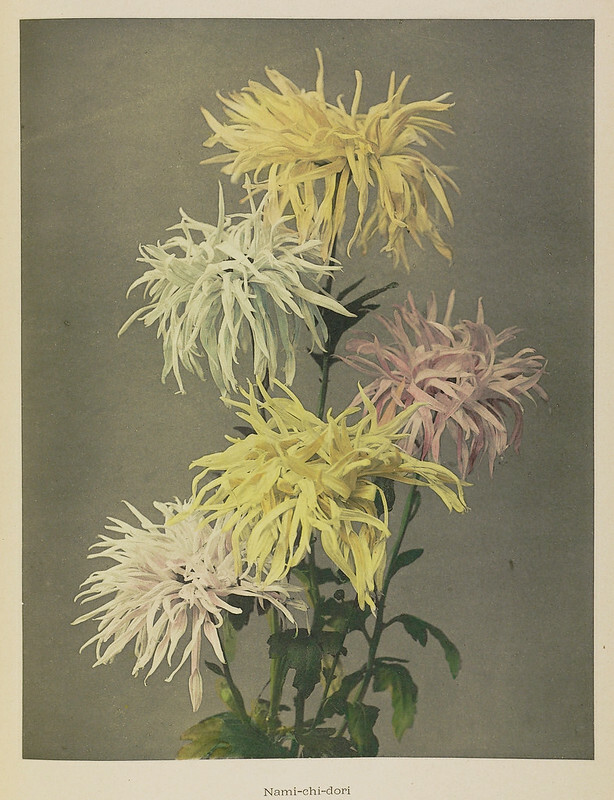 The exquisite hand-coloured flower collotypes shown here were featured in the 1896 book Some Japanese Flowers (of which you can buy a 2013 reprint here), and some were also featured the following year in Japan, Described and Illustrated by the Japanese (1897) edited by Francis Brinkley. 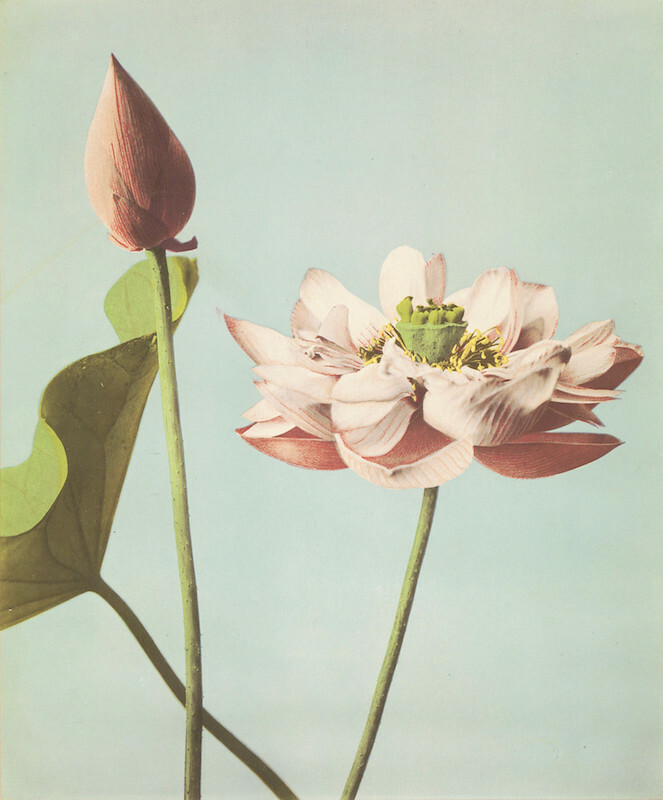 If you’d like some Ogawa Kazumasa images on your wall then check out the selection of his works available to buy as prints in our online shop.